Tria Global Solutions announced today that it has joined Field to Market, The Alliance for Sustainable Agriculture. CRYSTAL LAKE, IL, USA, March 25, 2019 /EINPresswire.com/ — Tria Global Solutions announced today that it has joined Field to Market: The Alliance for Sustainable Agriculture, a leading multi-stakeholder initiative working to unite the agricultural supply chain in defining, measuring and advancing the sustainability of food, fiber and fuel production in the United States. 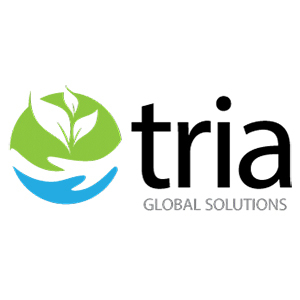 “Tria Global Solutions is excited to join Field to Market and we look forward to collaborating with other members to build upon the work the organization has accomplished scaling sustainability within the agricultural supply chain. Tria is committed to helping farmers improve water use, energy use and input efficiency results, and we look forward to collaborating with Field to Market to advance continuous improvement in these areas of agricultural sustainability.” -Ned Bentley, General Manager. As an active member in Field to Market, Tria will work together with grower organizations, academia, conservation groups, public sector partners and leading companies to help to catalyze opportunities for continuous improvement in productivity, environmental quality and human well-being across the agricultural value chain.